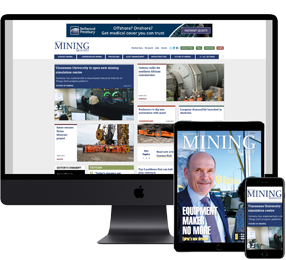 WESTERN Australia’s Department of Mines, Industry Regulation and Safety has warned of the dangers of using an excavator as a rock breaker for long periods, after a potentially serious incident on a mine site in June last year involving a 45-tonne excavator fitted with a hydraulic hammer. 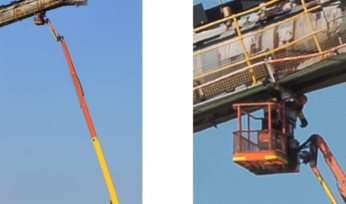 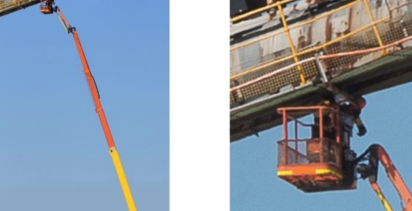 Left: Inboard boom ear failure. 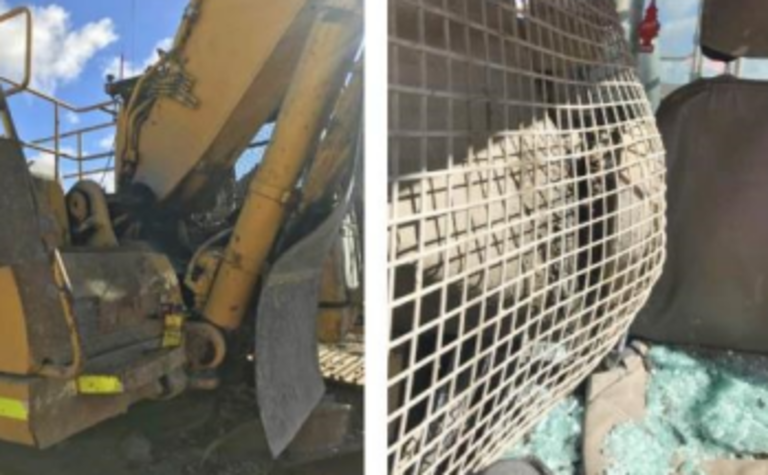 Right: Damaged rock mesh and broken window. 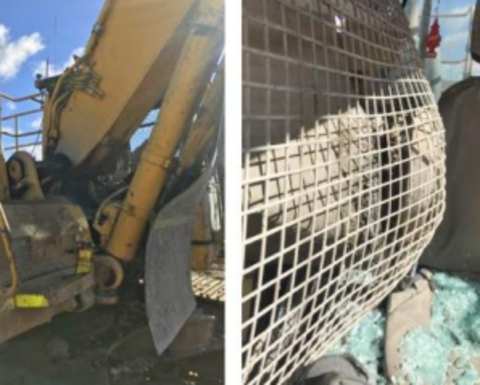 The excavator was breaking rocks on a stockpile when one of the boom supports failed, which caused it to slide off its support pin and smash through the side window of the cab.